According to Forrester Research, online spending will touch $370 billion in 2017. This is nearly a 10% compounded annual growth rate from 2012. The trends show that online shopping will quickly outpace in-store spending. This year it estimated that Apparel and Accessories will experience nearly 18% growth e-commerce spending, according to eMarketer. Apparel and Accessories online spending will touch $73 billion by 2017. This is over $24 billion in growth from 2013. These figures clearly indicate that fashion and e-commerce will play a significant role in total online spending in the United States. 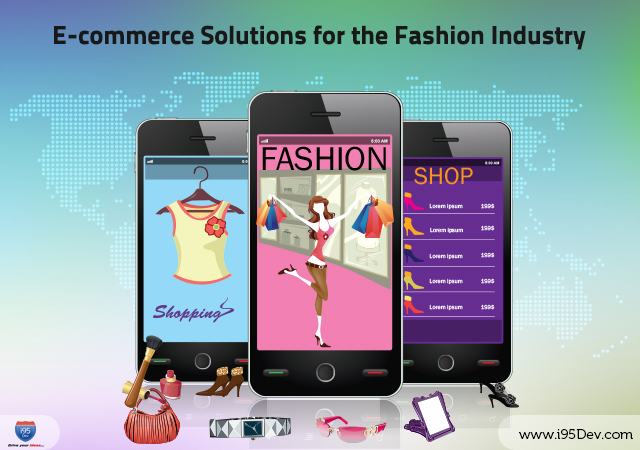 How can e-commerce benefit Apparel Industries? E-commerce has grown rapidly out of consumer need and behavior. Customers want to shop wherever they are and with their favorite medium. In order to maximize sales, retailers must provide multiple channels for customers as well as monitor trends and adjust their e-commerce systems to compliment marketplace demands. Cross-Channel Integration: Consumers look at various channels when making purchases. They might purchase in store, with a mobile device, or through a marketplace like Amazon or eBay. It is very important that customers have the same level of user experience at each of these channels. This is possible with Magento e-commerce. Cross-channel integration connects retailers with their inventory, suppliers, logistics partners, and stores. This not only improves ease of operations, but it provides a consistent experience whichever medium consumers choose. Personalization: The Apparel industry is a tricky business. Every customer wants personalized service, and they seek a fabulous experience every time they shop. This can only happen when retailers use the right e-commerce system. Magento is a feature-rich platform that offers personalized pricing with special discounts to specific customers or customer groups. This makes every customer feel they are unique and are given special considerations. Personalized shopping experiences will drive the future e-commerce industry. Online Loyalty: We have estimated the cost of acquiring a new customer has jumped to nearly 15% more than the cost to retain one. A loyalty program is the best means a retailer can use to retain their existing customers, but it only works efficiently when backed with advanced analytical tools. The efficient Magento platform delivers both of these. Magento’s analytics are very robust and thorough. Retailers can quickly draw the correct inferences and design the most suitable loyalty program for their customers, including giving reward points to their customers, sending coupon codes for special discounts, giving away gift cards or store credits, or even retailer customized options. Research shows the Apparel and Accessories industry must embrace a multichannel experience if they are going to prosper in the coming quadrinium. That means a retailer in this industry has to move to an apparel e-commerce solution that will be able to handle operations, inventory, and multiple sites while still providing a fabulous, unique experience for every shopper. That platform is Magento. We are the leading e-commerce solution provider in the United States, focusing primarily on Magento e-commerce. Our analysts have done an in-depth analysis of the Apparel industry to identify the needs of various consumers and the online buying behavior pattern. Based on this research, we have come up with various, unique features that are essential for the success of any online apparel store. We also offer real-time integration between Magento commerce and your fashion ERP system, as well as POS, CRM and mobile POS systems to improve your sales without any hassle. For any further information on our product, please drop us an email at info@i95dev.com or call us at 301.760.7499. We would be more than happy to look at your business’s needs and use our expertise to help you.